We are delighted to provide you with some excellent resources ideal for pastors, Bible study leaders, Bible study members, youth group leaders, Scripture teachers and Christians from all walks of life. SMBC Press are resources published by SMBC ( See the latest below! ). You can also purchase books written by SMBC lecturers through various publishers. Click here to view (and purchase) all publications. 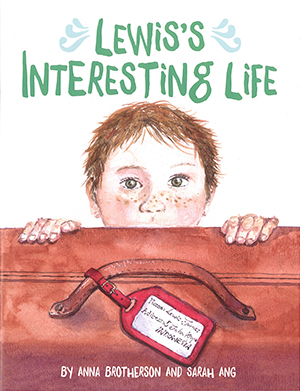 Lewis looks and acts just like a normal kid, but there is something very different and special about Lewis. He was born in Australia, but he lives in Indonesia. What do you think that would be like? Join Lewis and his family as they celebrate the rich beauty, life and culture of each of their two "worlds", and as they find joy and meaning in the things which, wherever they are, remain constant. This beautifully illustrated 32 page book is a helpful resource for children . It was inspired and written by a parent who, along with her husband and children, has experienced the challenges of living cross-culturally. Anna Brotherson and her husband have spent seven years raising three kids between two worlds. Anna loves writing, reading, people, talking about Bible stories, and nature. Sarah Ang is a freelance illustrator who loves watercolours and reading children's books to her two girls. Born in Australia but currently living in Singapore, Sarah loves depicting different cultures and scenery.